Easily fits Aprilaire/Space-Gard models 2200 & 2255. This filter's exact depth is 4.25 inches deep. Please measure the filter you are replacing or your filter boot to make sure it is an exact match. The CF200A1024 Air Cleaning Filter is not a 'Pop-up' filter and may not be compatible with Aprilaire models that require Pop-up filters. Actual Dimensions: 19.90 x 19.75 x 4.38 in. 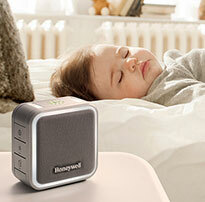 You can improve the air quality in your home substantially with Honeywell Whole-House Air Cleaner Filters. It's no secret that today's tightly-built homes trap dust, allergens and many more potentially hazardous contaminates. It's also none too surprising that poor indoor air quality ranks among the top five environmental risks to public health. Honeywell Air Filters (MERV 12 Rating) are 60x more efficient than a typical 1" fiber glass filter, plus they have the added ability of lasting up to one year. Air filters are also easy to install and come in accommodating sizes that fit all Honeywell and many Aprilaire, Space-Gard and Trion Air Bear models. Be certain to measure the filters you are replacing or your filter boot to make sure it's an exact match. Please note that the CF200A1024 Air Cleaning Filter is not a "Pop-up" filter and may not be compatible with Aprilaire models that require Pop-up filters. This Honeywell filter fits perfectly. I have tried another manufactures filter, and just didn't get the good tight fit. Great quality with every filter. Product was as described, and delivered intact. Shipping took apx 10 days, but might have been hampered by the poor weather, snow and ice. This is a very convenient way to purchase these items. I am very pleased with these air filters. They last a long time and do a good job filtering out all of the dust and pollen in my home. Ordering was easy & quick. Arrival was few days. No hassles. Happy camper. I've been buying these filters for our furnace since we moved to this house. The filters are consistently functional and the price and delivery are very convenient. Thanks for years of reliability! I have been ordering my HVAC filters from Honeywell for 3 years. It has been very easy and I get the filters when I need them. They send reminders so I don't forget to place my order. We love these filters for our System. They're easy to replace, do a good job, ordering is easy and shipping is quick. I love that the company sends a reminder when I need to order again. Simple things make the difference. Can't beat the price, quality and customer service. Always a quality product, and arrives quickly. Just installed the filter. We've upgraded from a Merv 11 to 12. It fits well has have the others we've used. The filters came, look good, work okay. What more can I say? A quality product at a good price promptly delivered. This is the 3rd year that I have ordered my HVAC air filters from Honeywell store. It has always been very easy and I always have been very satisfied. This is 2nd time to replace and order from Honeywell for my filter. 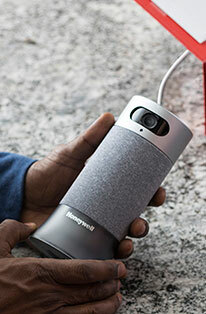 Fits perfectly and Honeywell is easy to order from and product is worth the price. 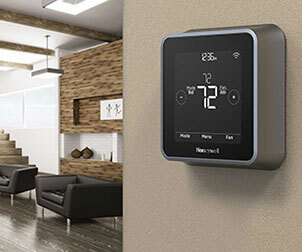 I absolutely pick Honeywell all the time because they have quality and overall great products. I ordered two furnace filters and got them in a short amount of time. Very pleased with this product and the service of getting them to me in a short notice. Thank you. These filters improve the air quality in my house. Less dust and pollen floating around. We keep a supply of filters so when our 6 month tune up, we provide for the heater tech to use. Order was received on time. Product was as described. The order was exactly what I was expecting and the price was lower than the one charged by the the air conditioning company that services my unit. it is the only filter that I have found to fit my ac and I like getting a reminder that it is time to replace it. Got order in a timely manner and was very satisfied. I receive my filter in a good time. I really appreciated how easy. ALWAYS PLEASED WITH THE SPEED OF DELIVERY OF THESE GREAT FURNACE FILTERS WE GET FROM HONEYWELL. After the first order was damaged in delivery, Honeywell sent me a replacement very quickly. I was very pleased with the customer service. I just received a new filter that I ordered online. It is very convenient for me to order this way and I always get my order promptly. Great service. Good quality product. Delivery was prompt. Prices are competitive. The filters were not damaged and worked great. Filter was correct one and easy to install. The filter shipped out promptly, received it in great condition and easily installed quickly, looking forward to cleaner air our home. I have not used my new filter yet. I bought it as a backup. I want to commend you for the excellent box my filter was sent in. Other companies are not using very good boxes, so filters arrive damaged. Thank you also for the quick shipping time. Would definitely recommend buying filters from here. I got exactly the kind of Honeywell Air Filters that I ordered. They are very efficient and the price is better than I can get from my HVAC company so I am happy. I have purchased filters locally and spent nearly double the price offered by your store. Thank you for offering a top quality product for such a great deal. Received filters very soon after ordering. Price was better than big-box stores, or online stores. Will definitely order again. Always a perfect fit. Others say they are an exact Honeywell replacement filter, but they are not. Received my order in 2 days! I have been ordering furnace filters on-line for the last year. It has always been easy and never any issues. My order arrived promptly and in good condition. Order shipped promptly after purchase and arrived without any damage to the filter. This was one of the only sources I could find for a filter of these dimensions. Filters help with my indoor allergies. The filters fit to a tee. Since this is a new system, this is the 1st time we've purchased the Honeywell Air Filter Ultra Efficiency CF200A1024/U, 20x20x4.5 - Merv 12. I'm sure they'll be fine since they have an excellent rating. We just installed them last week. I replaced my last filter with a Honeywell and wouldn't use any other one. It's a good fit, works well, has a high Merv rating, and lasts the entire year. This is the second time I have ordered my Air Filters from the Honeywell store.com and it has gone very smoothly. I am very satisfied and will continue using this site. Great filter, great price, and great speed of receiving the item. I could not find this filter in local stores...I wanted the Honeywell brand. Arrived w/o damage. Have been in house for one month. Will check to replace filters in 60 days. Replacing the filters looks quite routine. If you don't feel like changing your filter out every month like me then this is your filter. Our central air is located in the attic and a bit of a pain to reach. Generally, I can go through 3 summers with this filter before changing. Having purchased another brand filter in the past, I went right back to Honeywell as their products are the best. Product showed up in time, and as expected. Looks good. Fit is perfect. Received quickly. Saved me a lot of money over purchasing from the furnace company! I have purchased this exact filter from a large home improvement store chain in years past, and they do not ship to my home, only to their store. Not only did I get better pricing for the same product, but it was shipped to my door in very short time. Highly recommend shopping from Honeywell! I keep ordering these direct from Honeywell because they show up reliably and I haven't found them cheaper elsewhere. This filter has made a substantial difference in the air quality in our home. I highly recommend this product. We once had a severe issue with dust that has been dramatically improved. You know that you are getting the best quality air filter when it is a Honeywell brand. Ordering online was fast and efficient and shipment packaging ensured that the filter was not crushed during shipment. The filter was very easy to order and all the way to installation. The delivery was on time and I was notified by email. The installation was very easy as well. Placed order on-line, all was very easily done and worked well. The order came to our door and was in perfect condition. The whole experience was very quick and easy. The filter came in record time and was the perfect fit for my Heatpump. The filters arrived about 4 days after I ordered them. I got the MRV 12 filters The filters arrived in excellent snap and was exactly what I ordered. I had some cheaper filters prior to the Honeywell brand, I can really tell the difference in air quality in my house. I will never order off brand filters again. High quality whole house air filter I have purchased for several years. Not only is the filter efficient and effective, but I am pleased with the easy to order on-line and rapid delivery for the Honeywell on-line store. I bought these because they were the the best fit for my furnace. They went in a week ago and I have no idea of how they will perform. I hope they will be very good. Easy to find and order my correct size filter, Was delivered to my door. Will use your service again! I have purchased a/c filters several times and have been very satisfied with the quality of the product and its on time delivery. 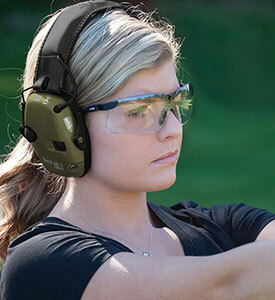 I love ordering these for my home and love ordering them directly through Honeywell's site. Fast process and fast delivery. These filters were OEM equipment in my house. Never had a problem and we keep using them. Long life and easy to replace. Can't ask for more. I love these filters. They last a very long time, and they do a great job keeping out the dust and pollen we are all allergic to in our home. I will continue using these filters for our home. Our filters were recved in two days. Will be ordering online again. The product on your website was self explanatory and shipped on time. We will definitely order them directly from you from now on. Thank you. Very efficient filter that cleans the air and is user friendly. Item received as described on-line. Delivered promply. Better filter for less money than I can get locally.